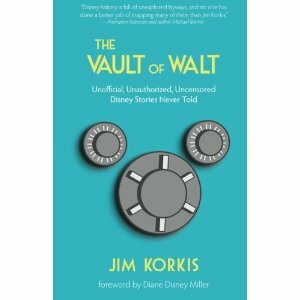 Jim Korkis, author of “The Vault of Walt: Unnofficial, Unauthorized, Uncensored Disney Stories Never Told,” will appear at the Orlando County Library on Saturday, January 8. The author and Disney historian will share anecdotes and other entertaining stories, as well as bonus content that didn’t make it into the book. He will also share a short film with the audience. Mr. Korkis will be available to answer questions after the presentation, “Cracking the Vault Disney.” Copies of the book will available for purchase and for signing by the author. If you can’t make it to the presentation, the book is also available on Amazon.com. “Cracking the Vault Disney” will take place at 2 p.m. in the library’s Albertson Room.